If you asked me who I think is a DIY genius, Kelly from View Along the Way tops my list. Some of the stuff she does! I’m all, “Seriously? 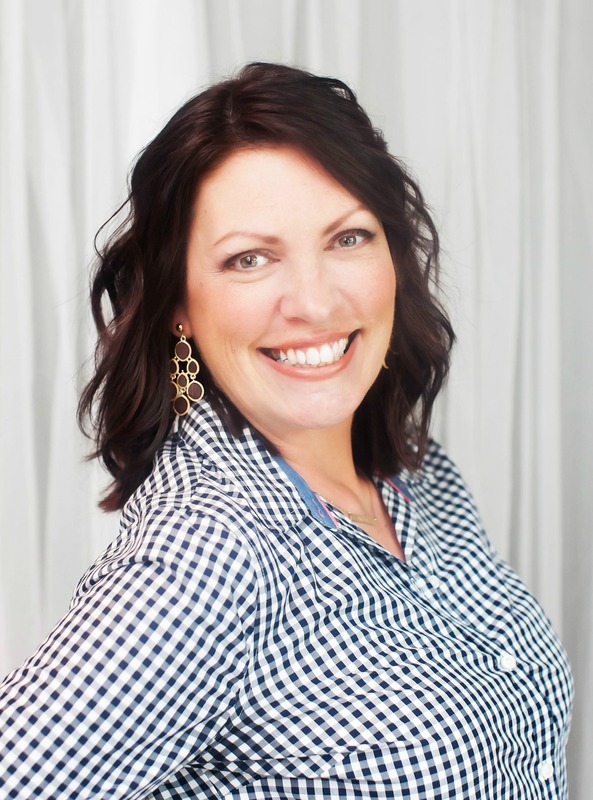 Why didn’t I think of that?” She’s sharing some fantastic tips today that I can guarantee you’ll be bookmarking. Good stuff, I tell ya! Have fun! Hi friends! Since we’re all stuck back at home while Chris takes her glamorous tour of Europe – (hey Chris? 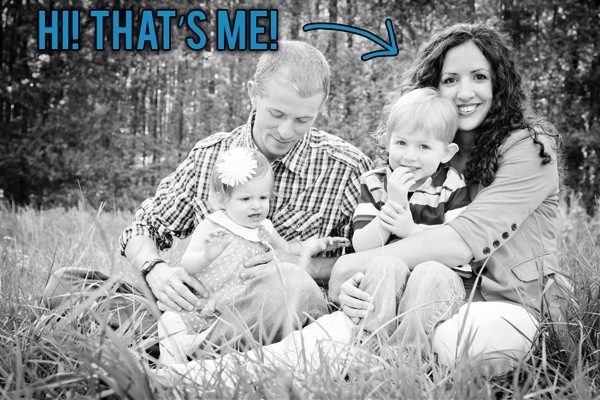 If you need an tour guide or something… holla! I don’t know the first thing about Europe, but I am an expert brochure-reader! I can even read a map! Kinda!) 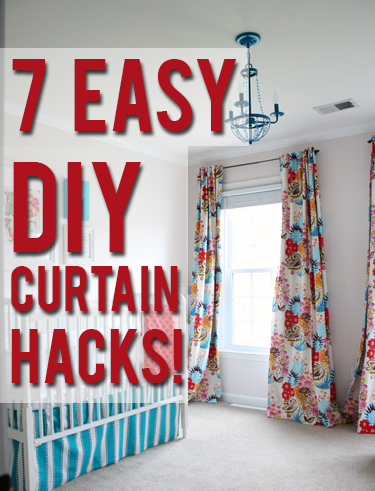 – I’m excited to be here sharing some easy ways to hack your curtains! 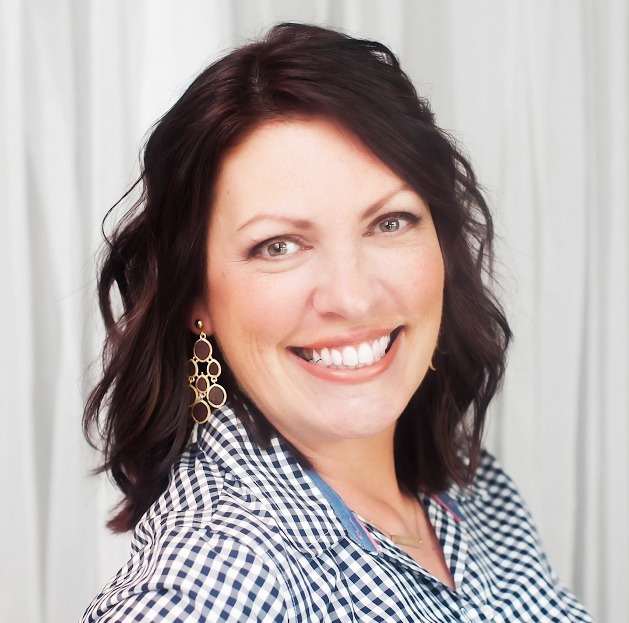 I’m Kelly and I blog about how we’re fixing up our crusty ol’ foreclosure on the teensiest budget over at View Along the Way. 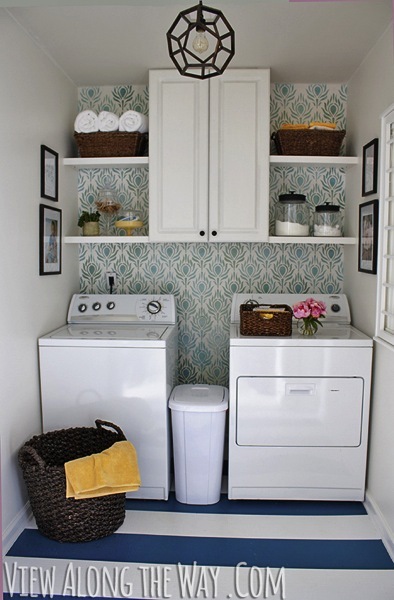 …and when I say it’s a teensy budget, I mean like redoing our laundry room top to bottom for only $157. 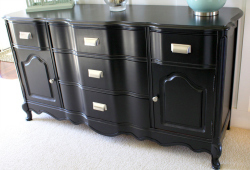 Or $500 for our entire baby girl’s nursery, including all the furniture. So yeah, fancy store-bought curtains don’t happen around here much. But you know what does? Getting creative! Using couture design as an inspiration and figuring out how to translate it (okay, copy it) for minimal cash. 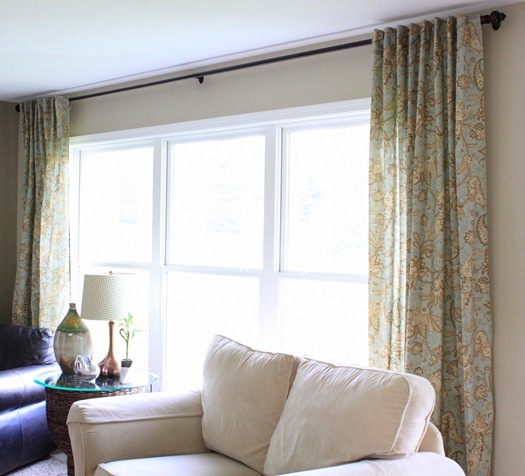 If you’re looking for a few simple ways to dress your windows or fix up your existing curtains, here are 7 easy options. 1. Sew your own blackout-lined back-tab panels Confession: I am the world’s slowest, worst, sewing-machine-jammingest sewer of all time. I don’t even know if “sewer” is the right word. In fact, I’m quite sure a “sewer” is a system of drainage to transport human waste. But “seamstress” sounds professional, and professional I am not. 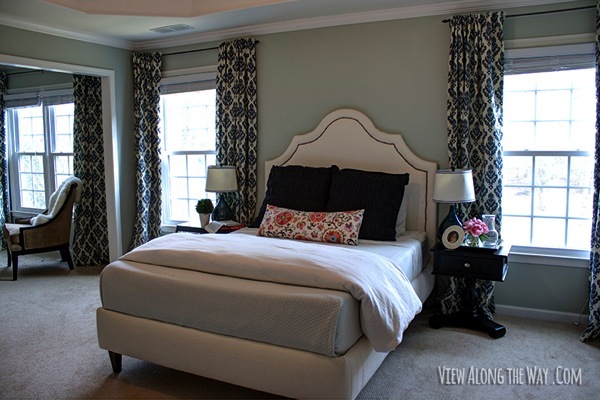 But *even I* could make these lined, hidden-tab curtains in my master bedroom. 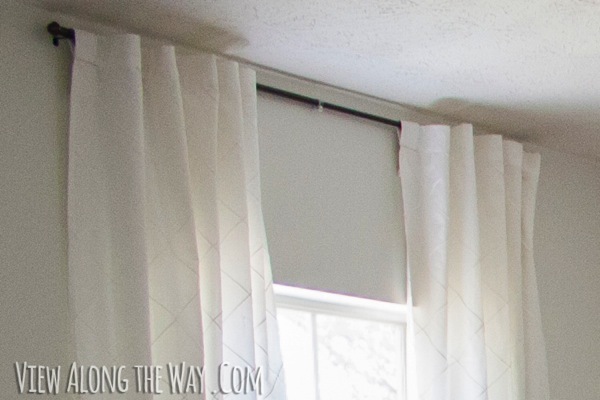 Here’s an easy-to-follow tutorial to make your own lined curtains for people who don’t know if they’re sewers of seamstresses or tailors or even how to sew anything besides a straight stitch (like me!). 2. Make curtains from a tablecloth Okay, this is Chris’ amazing idea. 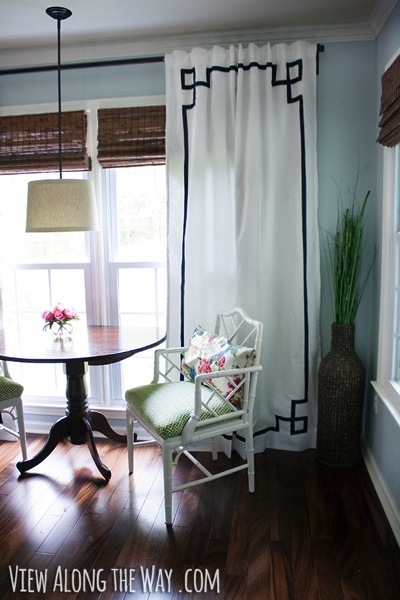 How killer do these curtains look that she made from a tablecloth?! Craziness. Fabric schmabric, right? Bring on the tablecloths! 3. Embellish simple curtains panels with ribbon See these Greek key curtains I made for my breakfast nook? 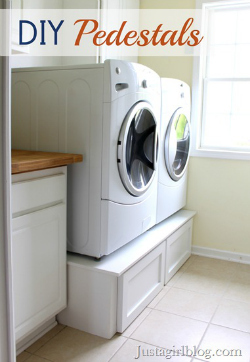 They’re just SUPER cheap ikea Vivan panels (only $20 for the pair!) that I upgraded to resemble some Greek key curtains made by Jonathan Adler. The whole process, which you can read about here, is no-sew (unless you need to hem your curtains, but you can use stitch witchery for that too if you want!). 4. 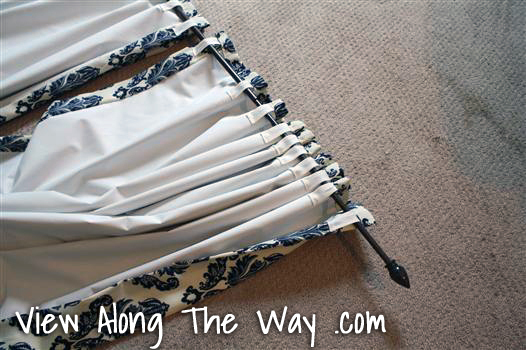 Make your tab-top curtains look like custom back-tab panels This is so easy it’s ridiculous. Did you know in the space of just a few minutes, you can make your old tab-top curtains look fancy-schmancy? 5. Add length to your curtains Remember when Chris extended the curtains in her daughter’s bedroom with just an old bedskirt she had lying around? So smart. So free. Total win. The coolest part is the paint is washable, so when my kids’ peanut butter fingers attack!, I can fight back. I dig the chunky horizontal stripe look because it’s graphic and it make the room look a little wider, and I shall love these until the end of days. See how to make your own right here. 7. 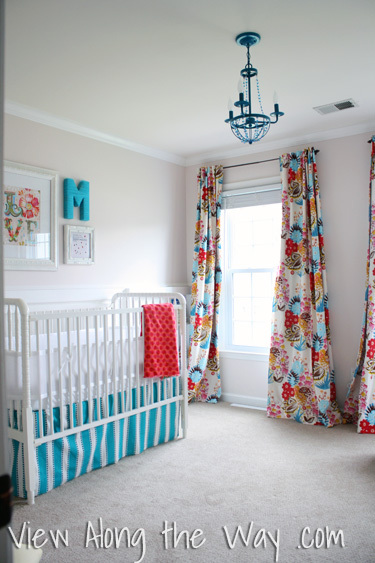 Hack your curtains to make them gather evenly Another brilliant Just a Girl tutorial! Remember when Chris used a simple ribbon to make her rod-pocket panels gather like she wanted? 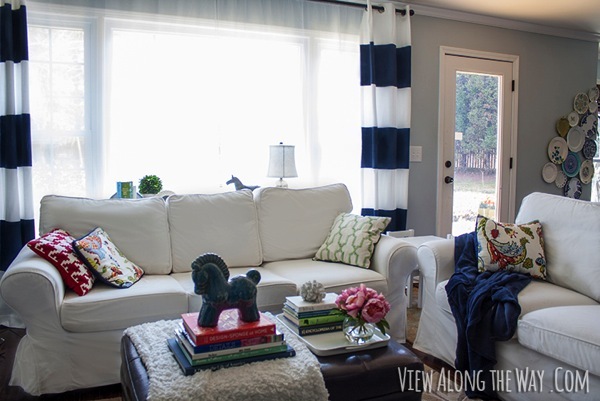 I just love a good curtain hack like this one! SOOOOO… if you’re staring at naked windows and want to clothe them… or if you’re bored with your curtain situation and want an upgrade, try your hand at any one of these little tricks! 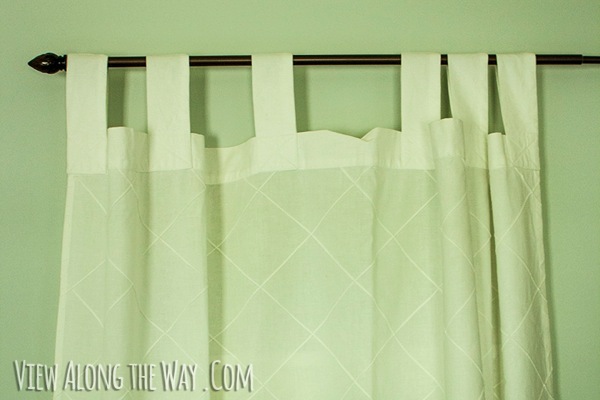 What’s your favorite curtain hack? Oh, by the way! I’d love to connect with you! 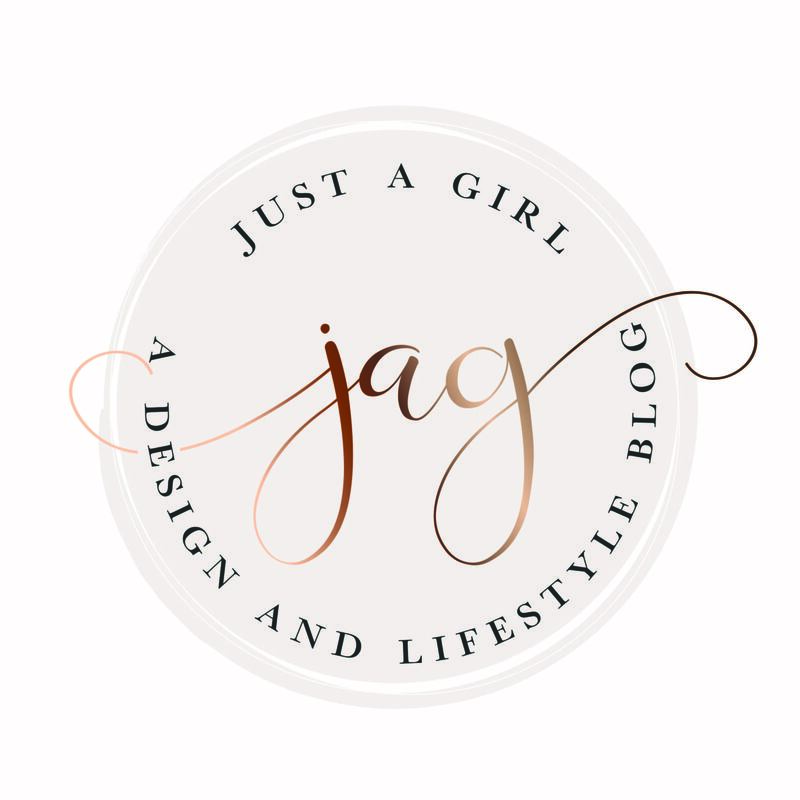 My blog is View Along the Way, and you can follow along on facebook, twitter or pinterest… or you can sign up to get new posts via email. See you there, friends! And Chris, enjoy your fabulous vacation! I’ll take some swiss chocolate and italian leather, pretty please and thank you. Curtains seriously MAKE a room! These are great tips ladies! One of my many hacks with curtains as an army wife living in many different houses over the years would be using long twin flat sheets. You can usually find them in a pretty pattern or solid for pretty cheap. When you are moving and every house seems to have a different size window you have to get creative. I usually just take advantage of the pocket already at the top of the sheet and slice a hole in the side of the pocket to slide the curtain rod through. I have folded and pressed a line halfway on the pocket and then sewn a line there to have a ruffle at the top. These work really well for rooms that don’t need really fancy curtains. I am in a pickle with the curtains in the kid room. They’re beige blackout curtains and I wasn’t fond of them when I bought them, but I was desperate. Now it’s do something to lengthen them and jazz them up, or make my own. Great ideas for me to thing about! Thanks! I’d love to be on your mailing list, please? I’ve flipped to this post several times in the past few days as I’ve been debating what to do with my existing panels, love this!